If audio components were solely linked to performance by their appearance, the VAC would be one primo sounding preamp! The enormous gold plated dials and cursive lettering denoting “ Signature Preamplifier”, against the lustrous facade are attention getting! Smaller dials flanking the outside denote “NORMAL/CINEMA” and “SOURCE/TAPE” on the left, with “MUTE” and “ON/OFF POWER” on the right. More central are the golden cheese wedges, the “SOURCE” selector and “VOLUME” dial. In the middle resides the luminous blue VAC logo, complete with the symbol of an electrical bolt – you might say I get a charge out of it! The logo illuminates red upon start up while the unit is muted until warmed up, and once un-muted shows blue. There are two settings to adjust the intensity of the logo’s brightness. I must confess that when the pair of Moscode 402Au amps, with their similar glowing blue Moscode logo arrived, my heart did a bit of a “pitter-patter” from the appearance of these formidable components, their blue beacons of audio excellence beckoning to me. All manner of irrational funding schemes in order to acquire these beauties filled my head merely from the sight of them! I can relate to audiophiles who are so smitten by a component they just have to obtain it! 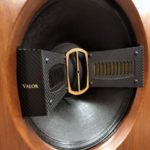 Even an audio dupe can see the VAC preamplifier is serious gear, and everyone who encounters it immediately has the notion that it’s going to sound exquisitely good. 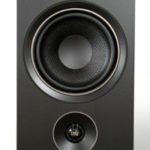 As long as the VAC was in my listening room it did not matter what else was on hand, every visitor crooned at its beauty. Beyond appearance, there is elegance to its functionality, the kind of purity that characterizes instruments with dedicated purposes. Monte Blanc fountain pens come to mind as a parallel. In a rebellion against the aesthetically trickled-down-to-the-pavement technological “progress” that seems pervasive, the fountain pen evokes admiration for its beauty and wonder at its audacity. Similarly, the two-channel valve preamplifier is antiquated by the HT world’s standard, but the audacity of the Signature MkII is clear – it looks expensive, it is expensive, but best of all, it sounds as it appears! 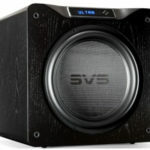 The VAC was a late arrival to the Super-review system I had established in 2008 as a response to the work I was conducting on the Legacy Audio Helix speaker system. This world-class, hybrid, passively crossed speaker had been running with the Ayon Audio CD-3 player, Jeff Rowland MC-606 multi-channel amplifier and a suite of Wire World Silver Eclipse and Silver Electra cables. The Signature 2 did not disappoint. In fact, it lifted the Super-review rig’s performance to new heights. The issue had been the challenges of Class D amplification; I have not yet encountered any Class D amp which has overcome the subtle but pernicious “white” or “dry” sound that strikes my ears as somewhat clinical. I have been in agony over Class D amps, as they produce power to die for; they can perk up the most difficult to drive speakers and make more efficient speakers scintillating. But what is traded away is a mellow, rich sound – a tradeoff I was not willing to accept. I had to get some tubes into the rig to capture the warmth of the sound I was seeking. Rather than pursue other amps I chose to add a tube preamp, the Signature 2. This was an excellent choice, as there are not too many ways one can power six channels of outboard amplification, four channels at 1,000wpc and two at 500wpc, without raising the temperature in the room to Hibachi level! My immediate impression of the Signature 2 is that it has a preternatural sense of having power of its own. In comparison to other preamps, it literally seems to be unfairly advantaged in terms of power. I was not prepared for the “boost” in performance it afforded; the warmth was anticipated and appreciated, but the explosion of the system’s dynamics and scale was such that the system’s already over-the-top power seemed turbocharged. In the movie “Iron Man”, William Downey Jr., as the owner of the world’s largest arms manufacturer, cobbles together a miniature “personal power source”, a generator which aids his survival and escape from terrorists who had wounded him. It held vastly more potential than traditional power sources, and it was the secret behind his “Iron Man”, the fighting suit used in his escape. Indeed, as the suit is continuously refined through design and testing in the lab it becomes the ultimate fighting machine, able to turn the tide of a battle. When Iron man shows up, the war is won. There are more than one or two refined, powerful processes at work in the belly of the Signature 2. 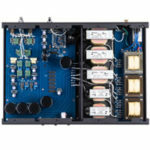 In fact, similar to Iron Man, the preamp is so adept, so powerful, its capabilities so extensive that when it shows up nearly any respectable power amplifier’s performance is elevated dramatically. Reviewers at times issue a caveat with a piece of gear, saying, “Careful matching of (attending) components is required.” In other words, the product is not so easily utilized in wide variety of systems, and can even perform sub-optimally if its weaknesses are not accommodated. Like Iron Man’s glowing dynamo, the VAC has a powerful secret behind the glowing letters adorning its chassis, a “dynamo” in the form of a class A1 amplifier. Kevin enjoys educating people on the particulars of amp design. When I asked him the implications of the preamp being a Class A1 amp, I received an extended technical explanation as to its virtues. Chief among them are the goals of driving down output impedance and development of prodigious amounts of current. The Signature 2 circuit employs a pair of high current, low impedance triodes operating in class A1 and connected for differential push-pull operation. A wideband output transformer converts voltage into more current and further lowers impedance. 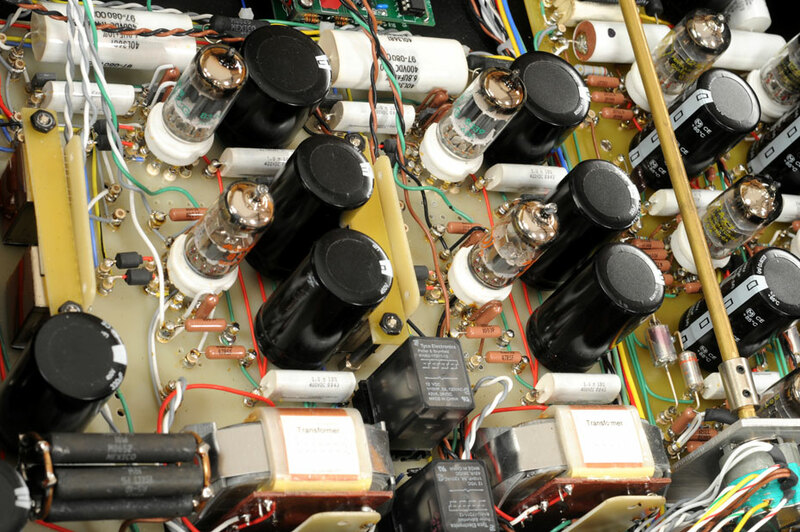 This is the same process as in a Class A1 vacuum tube power amp, except that the power requirements are less and there is no encountering loads as low as 8 Ohms. Kevin sates, “The technique confers both low output impedance and the ability to supply large amounts of current, while still being able to provide an excellent voltage swing and, by the design of the output transformer, extend low frequency response.” The influence of the “dynamo effect” with the VAC is quite striking. I was impressed by how the music, any music, was more charged with vitality. It is harsh to say so, but the impression I felt was that it made many other good preamps, both tube and SS sound somewhat lifeless by comparison. Recently I saw a news item which caught my eye – the fact that the human body glows! It seems a very weak light is emitted by the body, if I recall correctly a “radiance” which is on the order of 100 times dimmer than natural light and impossible for us to see with the naked eye. The cause is not known but one hypothesis is that the glow is a byproduct of metabolism. Similarly, the VAC has an “élan vital” to it, a certain something difficult to describe (like 19th century scientists attempting to describe the actual difference between living matter and inanimate objects), but unmistakable when encountered. The Signature II preamp makes the audio system “breathe” in a way most fitting of anthropomorphic description.